Evolis R2F009NAA resin black (K) ribbons are monochrome (1-color) ribbons with a protective overlay. 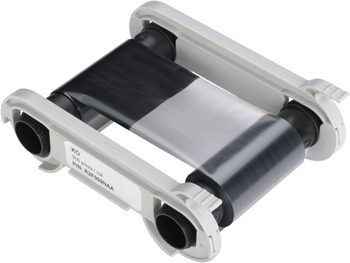 Evolis R2F009NAA black monochrome ribbons are primarily used for printing text and one-color line art on one or both sides of a card. To maintain your Evolis card printer's warranty, genuine Evolis ribbons must be used.